This time of year, you can usually find a pair of boots on my feet. From booties to rain boots, there is something out there for any type of weather or any occasion in the fall and winter. However, there are a few pairs I find myself reaching for most frequently. I truly believe there are 4 pairs EVERY girl needs in her wardrobe. Staples that will get you through the chilly months! My cognac booties are my most frequently worn boots. These actually get a lot of wear year round, as I love them with jeans and chunky layered knits in the fall and winter, and with breezy dresses in the spring and summer. They go with EVERYTHING and are so easy to wear. I have a few different styles, including leather and suede, because I wear them so frequently. They can be easily dressed up or down and taken from work to date night! 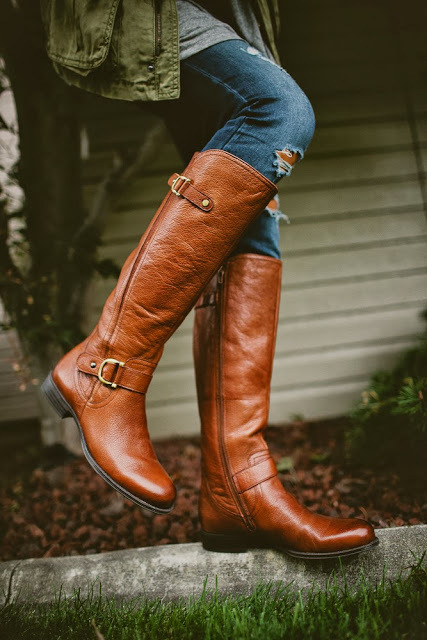 A great pair of riding boots never go out of style! I love wearing mine in the fall with dresses and skirts. When it gets REALLY cold, I find myself reaching for my riding boots more frequently as I can wear my favorite thick knit socks underneath and have cozy toes all day. I recommend spending more than you typically would on a pair of shoes when buying riding boots. You want something comfortable and high quality with a classic look, because I promise you will be wearing them for the next few years! 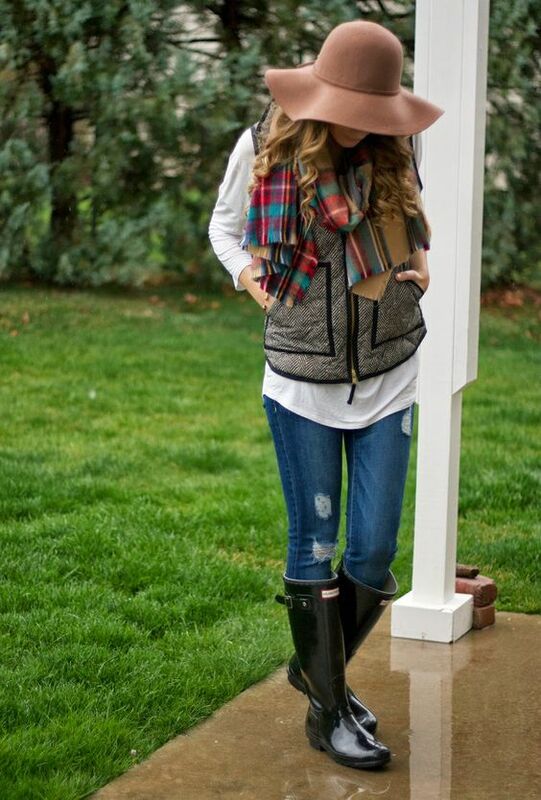 This fall has been especially rainy and I have been SO thankful for my rain boots! These cuties aren’t just handy when it’s rainy. I frequently pull mine on when heading out to rake the leaves or keep them in my classroom for those days when the weather turns nasty before the end of day bell rings. These also work well in the snow, just make sure to buy the fleece inserts to make sure your feet stay warm! This has been one of the hottest trends for a few years now, leading me to believe they are here to stay for at least a few more years! I love the OTK style because they are cute AND keep my legs warm! My favorite way to wear mine is with dresses or with jeans and oversized sweaters. There are so many cute options out right now…I am currently on the hunt for the perfect pair of black OTK boots to add to my wardrobe! So I’m posting this little blue dress today, and I could tell you about how much I adore it and how well it fits, like I had planned, but I just erased all of that because I have to share what’s really on my mind. This weekend, my family’s sweet dog, Bentley, was hit by a car and he did not make it. My family has been absolutely devastated by the loss of him. Isn’t it crazy how a little animal can make such an impact on your life? I know it may seem silly, but he truly was a family member. He had the best personality and I am going to miss him so much. I feel broken hearted over knowing I won’t see his sweet underbite or big brown eyes again and am repeatedly going over “what if” scenarios in my mind. I know that I am just grieving and that eventually I won’t feel this terrible sadness, but it’s so hard!! All dog’s go to Heaven, right? Have any of you lost a pet? Any tips for dealing with the grief of losing your furry, 4-legged friend? This week’s blogger of the week from last weeks link up is the gorgeous Chioma of Chioma’s Evolution of Style! First off, how seriously BEAUTIFUL is her hair?! I’m pretty much obsessed with her stunning curls. 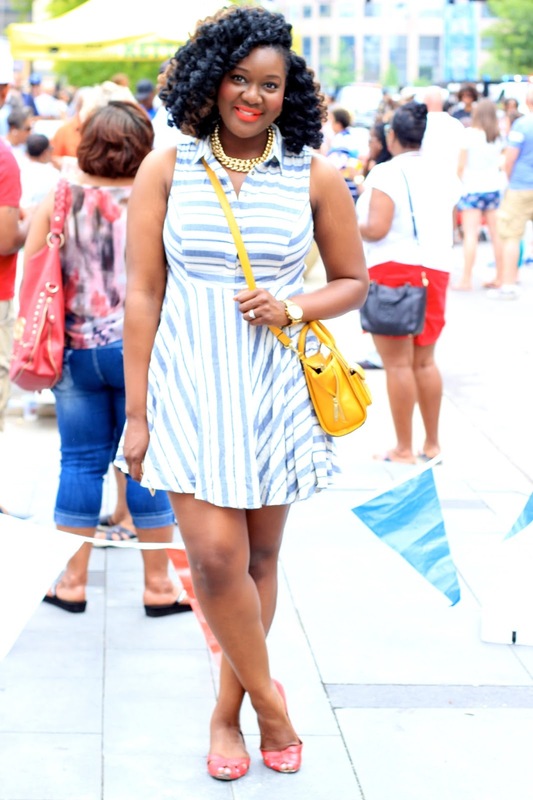 This was the perfect 4th of July outfit, as the blue and white stripe dress pop amazingly with her red shoes. Not to mention that unexpected yellow bag! I love it! You look absolutely stunning, sweet girl! 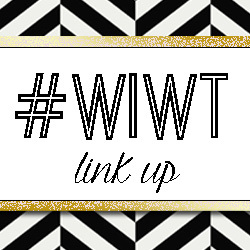 I have definitely found a new blog to check regularly! 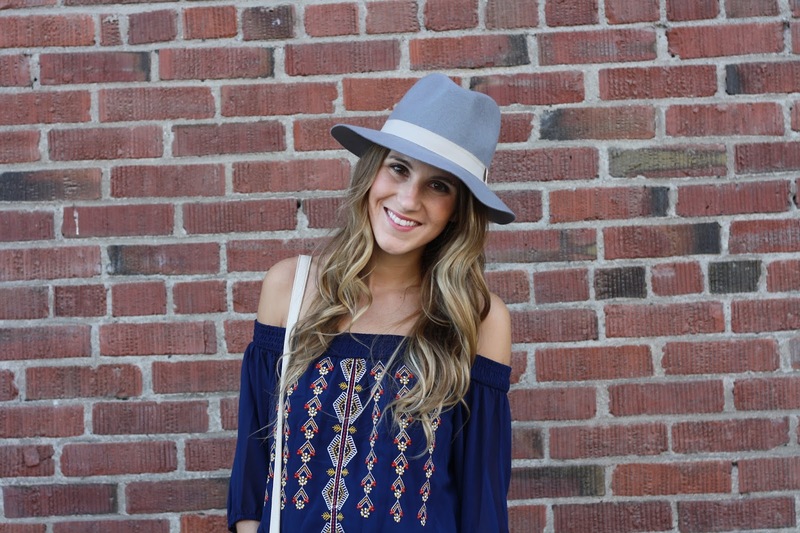 Fall Essentials: Nordstrom Anniversary Sale Picks! By now I’m sure most of you have lurked the Nordstrom Anniversary sale. I’ve spent a good chunk of time perusing the website, adding pieces to my bag and dreaming up my fall wardrobe. This is the best time of year to add new fall accessories to your wardrobe as you can’t beat the prices! I love picking out staple pieces I know I can mix and match throughout the season. Neutral pieces that will go with everything! These pieces are all marked down currently, but the only way to shop them now is with a Nordstrom card. The sale officially goes live on the 17th, so head over and start making your own wish list now, or sign up for a card here if you just can’t wait!